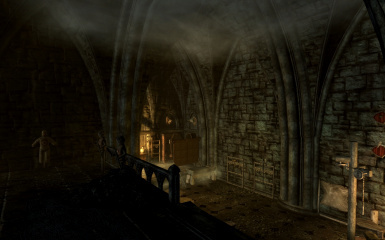 Serana's sandbox system will no longer block her from going to see Falion when the player convinces her to get cured. Set the LocTypePlayerHouse keyword for the North Tower. Mods which read this for follower interaction should now treat it properly. Enabled 6 more weapon racks in the back hallway of the North Tower toward the bed that were previously blocked by bad collision on the hallway walls. Update your copy of the Unofficial Dawnguard Patch to use these. Cleaned up some bits of debris that should have been removed but got missed. 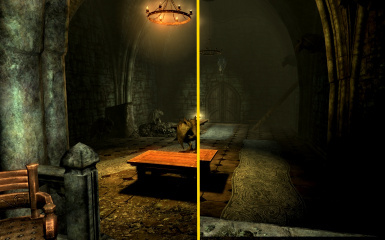 The torture rack and cage will be removed from Harkon's old room if playing for the Dawnguard. 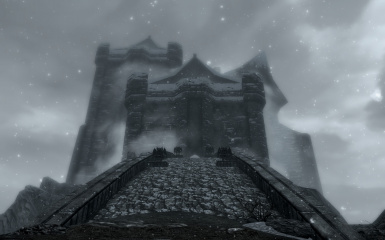 If playing as the Dawnguard, Serana can now be toggled to stay in the fort, or move back to the castle once her room is set up. 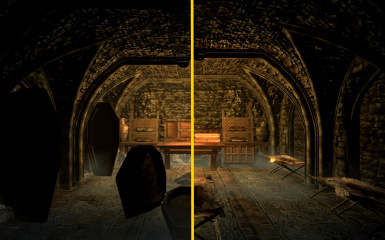 A candle on her nightstand in Castle Volkihar will toggle this. Additional lighting has been added to the main room in the North Tower. Sorry, due to engine limitations, none of the new ones cast shadows. 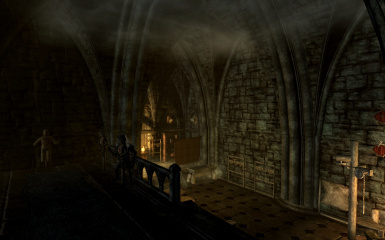 The North Tower cell needed to be switched to the "NoReset" encounter zone. Nothing should have been lost since the container objects don't respawn anyway, this just sets it up to be just like other player owned cells. A cobweb on the main castle level was still left uncleaned in the main dining area. Rugs in front of Harkon's sleeping area were assigned to the wrong marker and not being toggled properly. DO NOT extract the contents of the BSA file into your Data folder as loose files, or let your mod manager perform an equivalent function on the contents of the file. Doing so will cause things to load in the wrong order and break the game. 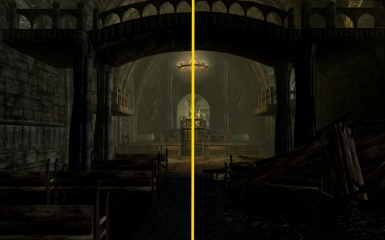 Skyrim is intended to load a BSA alongside it's ESM/ESP file. Circumventing this causes issues which we will not provide support for. If you insist on going against this advice, you will receive no support for the problems you generate as a result of this.